-SG- I recently received a photo from Leon of the rear end of his recently acquired 1930 Model 20 frame (below). One can clearly see the rear wheel adjuster set bolts incorporated in the fork end lugs - and the two downward projecting sections of the lugs to accept the silencer mountings. As far as I am aware, all 1930 Model 20s had this form of wheel adjustment. But, as far as the 1930 Model 18s etc are concerned, these initially had the older type of wheel adjusters which pull the wheel spindle backwards - as on millions of push bikes down the years. 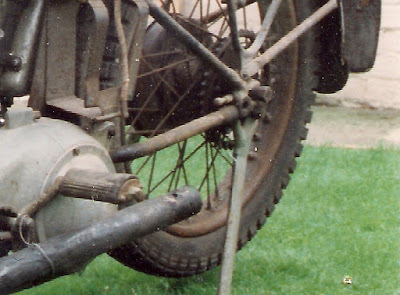 However at some stage later in 1930, perhaps when stocks of the old lugs had been used up, it seems that Model 18s etc also went over to the Model 20 style of wheel adjuster, although the lugs do not have the silencer mounting extensions. 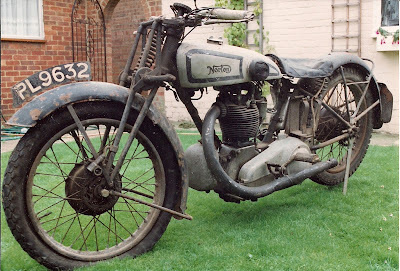 See photos of Bob's matching numbers 1930 Model 18 (above) before restoration in the 90s. 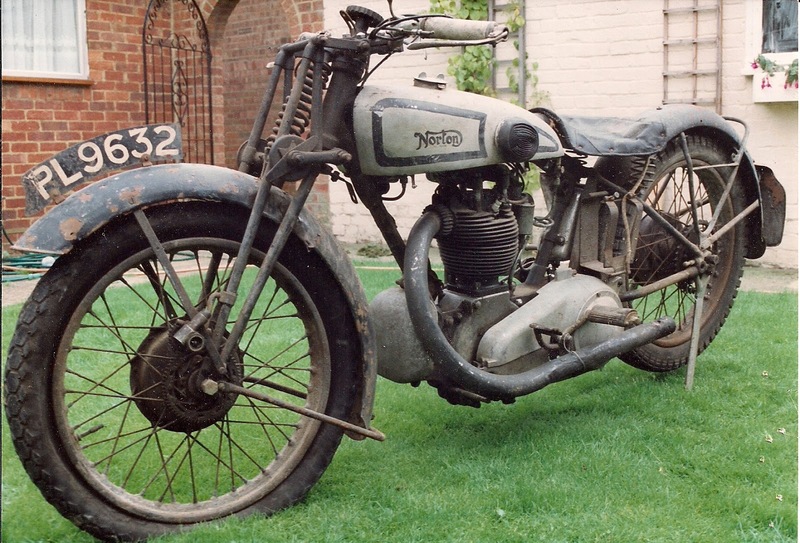 Bob's bike and many of those listed in the same section of the despatch book, is shown as a 1930 model although not despatched until April 1931.